Ruggedly handsome stainless steel Speidel Medilog watch does double duty — it alerts first responders to important data in an emergency. Easy-to-read face displays a red medical alert logo, informing health care providers to check your wallet for a card. Men's watch features a 1 1/2"dia. dial with second hand and a comfortable stretch band. 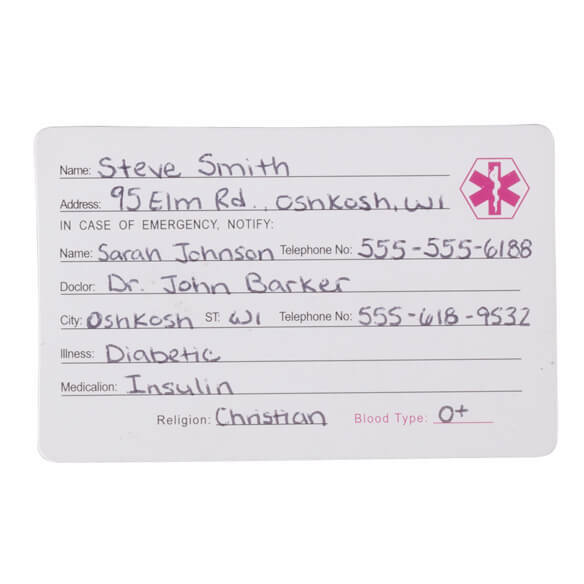 Includes wallet ID card for recording your personal info, emergency contact, medication, blood type and religion. I got this for my husband and he loves it. Especially if you are out byself and if something was to happen it would let the first aid people to look in your wallet at the card with helpful info on it. want husband to have something for emergency health info. like it is a watch to direct to wallet. he may use it. Just the size I wanted. Great bargain although shipping and handling charge together unreasonable. Handling charge? I have the women's version, but have trouble seeing the numbers. I thought this one would be easier to see. I got this for my husband he is a diabetic. I needed something for first responders to let them know about any medical conditions that I have at present. Perfect for my husband who has multiple medical conditions. My wife has alot of allergies & she has one of these already, just wanted a back up. 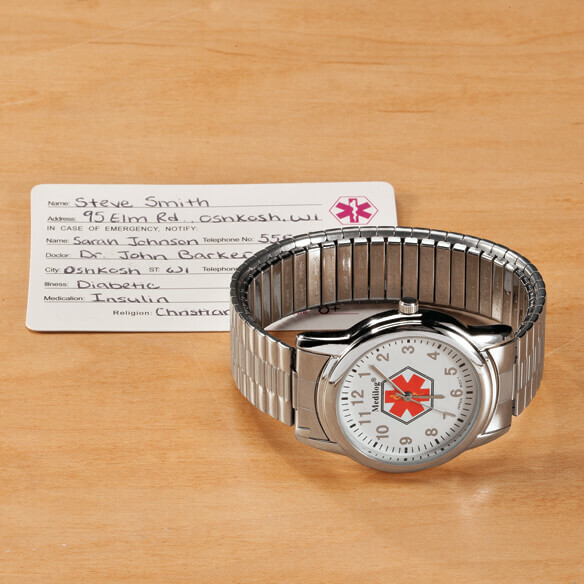 do you have medical id watches in womens? BEST ANSWER: Thank you for your question. The watches are being discontinued and the womens is no longer available. We apologize for any inconvenience. 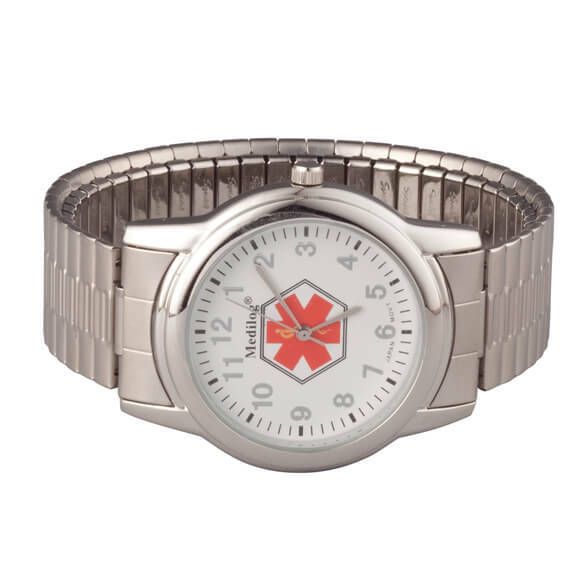 Is there an emergency watch for women with health problems like diabetes? BEST ANSWER: Thank you for your question. The item number for the womens watch is 360306. We hope this information will be of help to you.